We’ve been playing weekly fantasy football for a few years now. At first, it was an experiment. The one-week leagues were new and no one really knew what to make of them. Today, they’re huge. A lot of folks have discovered that the short time frame is perfect given their busy lives. If you’re like us, you became acquainted with fantasy football by playing in traditional, season-long leagues. That approach, still popular, has its charms. You sink a lot of time – and more often than not, a lot of money – into drafting, trading, and cutting players throughout the NFL season. If you do your homework and follow your players closely, you might do pretty well. The downside is that a few bad drafts or ill-advised trades can seriously wreck your season. That means the time and money you’ve invested goes up in smoke. The season can seem endless when you’re behind with absolutely no hope of catching your opponents. And that’s where one-week fantasy football leagues shine. Below, I’ll explain some of the reasons we spend the majority of our time in the weekly contests. If you’re still playing in the season-long leagues, you’re probably going through the same frustrations we used to experience. If that’s the case, now’s the time to test drive the 1-week leagues. If you’re in college or a single professional, it’s easy to spend several hours a week drafting and adjusting your team. You can even do it while dating from your smartphone, if you manage your time well. However, once you get married and have kids, your free time evaporates. Are you busy? A lot of married guys have trouble giving up their fantasy football addiction. They try to balance their habit with the time they spend with their spouses and children. That’s a tough balancing act to pull off. Most guys find they can’t do it. It’s easy to participate, even if you’re married and have several kids running around the house. No one likes to lose. But if you’re playing in fantasy football leagues that last the entire season, losing is an even worse experience. Not only are you behind with little hope of catching up, but you’re forced to endure the remainder of the season. Participating is less fun once you acknowledge the fact that you’ll never be able to win. Let’s contrast that experience to “managing” a losing team in a weekly fantasy football league. Suppose that without a miracle, you’re chances of winning your league – or at least finishing high enough to claim a piece of the prize pool – are between slim and none. You don’t need to mope around, waiting for the season to end. The contest will be over at the end of the week. When it’s done, you can build a brand new team, hopefully with players who perform better. That’s a major benefit to playing at sites like Fan Duel and Draft Kings. If you find yourself saddled with players who can’t seem to carry, throw, or pick up the rock, you’re only stuck with them for a few days. Conventional fantasy football is an all-or-nothing gambit. You’re pinning all of your hopes to winning your league and walking off with a major piece of the prize pool. Even if you’re participating in a few leagues at the same time, you’re still banking on just a few opportunities. Moreover, even if the amount of money at stake is substantial, you only have a few chances to grab a piece. When you play in one-week fantasy football contests, you have a chance to win each and every week. (Actually, you have multiple chances if you’re playing in multiple leagues.) If you crap out one week, you can win the next. In essence, you’re diversifying your risk. It doesn’t matter much if you lose a single contest. It’s not as if you won’t have a chance to win real money the following week. A conventional snake draft follows a draft order that looks like a snake. Back and forth and back and forth. On the plus side, it’s simple. When your turn comes up, you get to choose an available player. But a major drawback is that you might get stuck with a late-round pick. If you’re trying to draft players to warm your bench, that’s fine. But if you want to put together a team of productive players, picking last in the first round can be the pits. 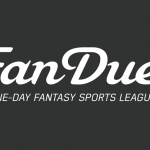 At sites like Fan Duel and Draft Kings, the draft is fairer. You’re working with the same budget (salary cap) as everyone else. If you want a player, select that player for your team. Your total salary cap figure will be reduced by the salary figure assigned to the player you’ve chosen. You then use your remaining salary cap money to select your next player. Continue selecting until you have a full roster of NFL players and little to no salary cap money left to spend. Fantasy teams you play against in the one-week leagues can actually have the same team as you. You won’t know it until the game starts and your rivals teams are revealed. But more often than not, you’ll have a completely different team than everyone else. If you know fantasy football you could cash in big time. Good luck! 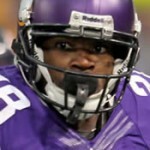 By now, you should have a pretty good idea regarding how to get started in a weekly fantasy football league. 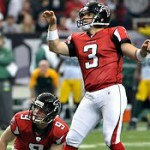 If you join FanDuel.com, you’ll find that it’s the simplest of the top fantasy football sites. You’ll see a list of weekly and daily contests. Each one will display the salary cap, the number of participants, the entry fee, and the size of the prize pool. You’ll notice that some of the real-money cash pools are small while others are huge. After you choose a contest, start drafting your team. If it’s your first time, we strongly recommend taking a look at our draft tips for one-week fantasy football. That’s basically it. As we mentioned earlier, a lot of the time you would normally spend trading, dropping, and adding players during a traditional season-long league is yours to control. The weekly fantasy football contests at Fan Duel and Draft Kings don’t require that level of attention. After you have drafted your team, watch how your players perform. The more points they accrue during the week, the higher you’ll climb in your league’s rankings. 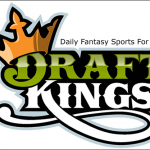 In case you haven’t noticed, we’re openly enthusiastic about Fan Duel and Draft Kings. Among the many one-week fantasy football sites out there, these two consistently deliver the best experience. Both are easy to use, both offer responsive support, and both cater to their customers. DraftDay.com is another site we’ve been using. Although we prefer Fan Duel and Draft Kings, it’s good to see another one-week fantasy football site building a great reputation among its customers. To summarize, if you’ve never played in weekly fantasy football leagues, don’t sit on the sidelines. Visit the recommended sites on our list, and take each of them for a test drive. Like us, you may discover that playing in 1-week fantasy football contests is a lot more fun and profitable than playing in a season-long league.